The Clinical Audit Support Centre has gained considerable experience over the years working with healthcare professionals and teams to try and implement effective clinical audit. Collectively the two directors of the business hold over 50 years of experience working in clinical audit and during that time we have worked on an array of ground-breaking projects and initiatives that include: writing the methodological chapter of the clinical auditors bible – New Principles for Best Practice in Clinical Audit, training staff and setting up clinical audit projects in Ethiopia, working with vets to pioneer clinical audit in the veterinary world, creating toolkits and best practice guidance for HQIP, creating an innovative national audit for the Motor Neurone Disease Association, working with various hospices to raise awareness and capabilities in clinical audit, conducting our annual survey of clinical audit since 2010, showcasing best practice by junior doctors in clinical audit via our established annual competition, etc. In addition, the CASC directors frequently provide keynote talks at national conferences as well as publishing examples of our work regularly. Below we provide some examples of how we may be able to enhance your clinical audit work. 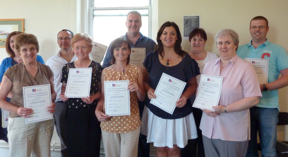 CASC offer a wide range of accredited training in clinical audit. Over the years many clinical audit staff and clinicians have learned about best practice in clinical audit with us. Most of our training is carried out via intense one-day courses and we also offer our distance-learning course whereby individuals gain support to undertake a local audit over 12 months. We typically run our courses in Leicester or London but also support bespoke in-house training. For more details of our training, click here. We have significant experience in designing bespoke clinical audit projects for NHS and non-NHS customers. For example, we recently helped the Motor Neurone Disease Association set up their first-ever national audit based on NICE guidance and we have worked on hundreds of local projects. CASC can advise on project design through to running a complete clinical audit service for you that includes data capture. Get in touch for more details. Many healthcare teams struggle to deliver high quality and effective clinical audit which is evidenced via specific feedback provided in recent years by the Care Quality Commission. We have worked with a number of Trusts and smaller teams that have been placed in special measures or who have received less than positive feedback on their clinical audit function from the CQC. Equally, we have been asked by teams to review the mechanisms and functions they have in place for audit often to provide an independent view of how to enhance local delivery. Over the years the CASC team have simply picked up useful skills and contacts. We frequently help advise teams on best practice in clinical audit and assist them in agreeing a clear consistent methodological approach. We can also help advise on the ever-confusing array of IT providers and solutions that can help reduce the burden of clinical audit. CASC also frequently help signpost those with an interest in audit to networks, providers and resources they never knew existed. In short, if you have a question in relation to clinical audit that you can’t answer why not get in touch? Since CASC was established in 2006 we have periodically run a national conference in Leicester. Added to this since 2010 we have held a Finals Day event to showcase the great clinical audit work carried out by junior doctors. We have also helped plan bespoke conferences/training events for many of the regional clinical audit networks and we often provide keynote speakers to local and national events. Historically we have created a range of ground-breaking clinical audit materials that include our Clinical Audit Teaching Toolkit and our guide on how to use root cause analysis techniques in clinical audit (both commissioned by HQIP). We have also created online training materials for the Royal College of General Practitioners and we have multiple useful resources to assist teams in the delivery of Clinical Audit Awareness Week, click here. The junior doctor section on our website also has multiple examples of audits that have made a difference and improved care, click here. We are always happy to help create bespoke materials and resources for clinical audit so please get in touch to discuss further. On a final note, we are strong advocates of providing real-world examples of clinical audit that others can learn and benefit from. CASC have considerable experience in writing up many of our audits for publication and acceptance at national and international conferences. We also have considerable experience via our junior doctor competition of what makes a good competition abstract and poster. If you need help writing up your work or submitting it for publication or a competition, then please contact us.